Help them to develop their sensory skills while playing with this Sound Prism Set. 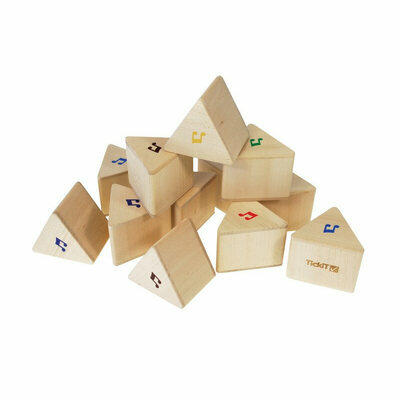 Designed to aid in the development of their listening skills as well the ability to match similar items, this set consists of 12 hardwood prisms that sit in 6 pairs. Each of the pairs shares the same sound, challenging youngsters to match each sound with its corresponding counterpart. To make the game even more exciting, each pair also shares a matching 'musical note' on one side, that can be hidden underneath to create an extra testing game for older children. A hard wearing toy that brings delight as it teaches, these Sound Prisms are the ideal addition to any environment that seeks to aid in the development of children. Why not grow your Sensory collection with our wide range offering available online today?